George Thompson is involved in the revival of The Pine Online and is very active in the development of the We Are Listening RVA website. He is also a guitarist in both Jazz Bands. Henry Weatherford ‘21 is a sophomore at St. Christopher’s School. He has been a member of publications since his freshman year and was a founding member of WeAreListening. He was the first to interview a woman for the blog. His hobbies reading, writing and playing Battle of the Brains. Hunter Gardner is going to Virginia Tech and plans on studying building construction. Hunter is a Pine Needle Editor and enjoys creative writing. Christopher McCormick is a senior writer for the Pine Needle. When he's not in class, Christopher is also an executive member of Saints for Social Justice, as well as a writer for one of the heads of the Hieroglyphic literary magazine. In his free time, he likes reading, listening to podcasts, and spending time with friends. Joesph Long is interested in science, specifically aerospace engineering and particle physics. Joesph knows quite a bit about rocket science and quantum mechanics, and he can explain a lot of things about both subjects to anybody who is interested. Joesph hopes to get involved in some field of engineering in the future. Sophomore Will Farrell plays soccer and writes for The Pine Needle. He has been working on the blog since its inception and looks forward to spreading the word about women's struggles throughout the STC community and beyond. Luke Gresham is a strong, confident young man with enthusiasm. He enjoys studying because he has nothing better to do. He plans to run a criminal empire as an adult. 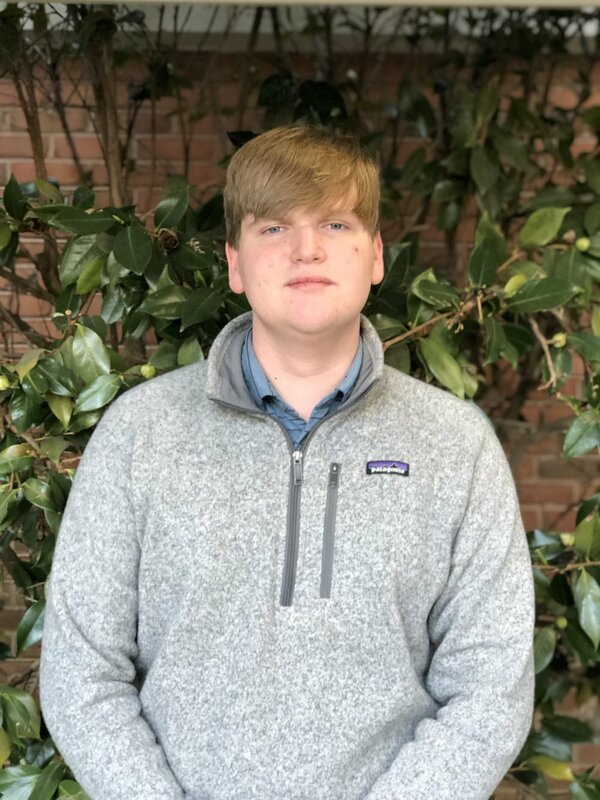 Sophomore Willem Peters is a staff writer for the student publication, The Pine Needle, and volunteers with the Richmond SPCA. He is also interested in law enforcement, influenced by his father who used to be a police officer. Spencer Villanueva is a sophomore at St. Chris. He is a staff writer for The Pine Needle and a contributor for the Blog. Junior Oliver Sabo has attended StC since kindergarten, plays golf and has been writing for the Pine Needle for a year. 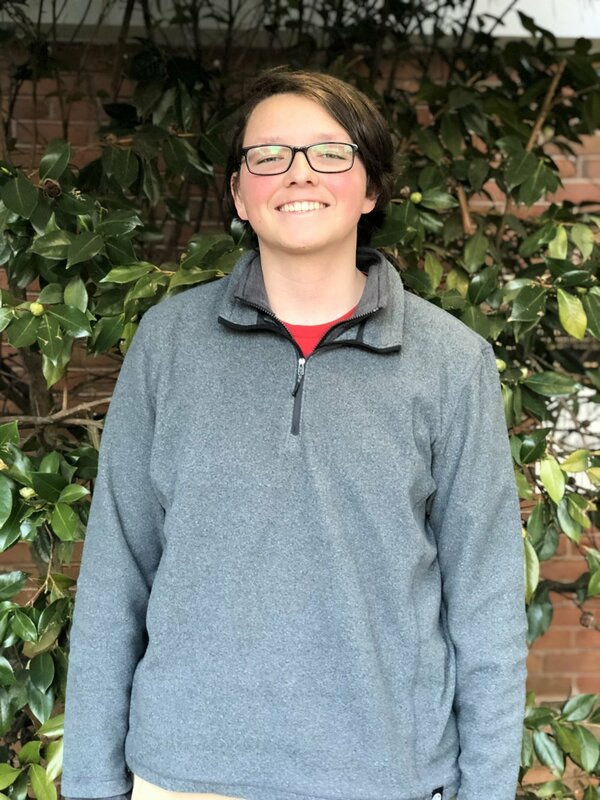 Sophomore Hugo Abbot has been a staff writer in publications since freshman year and volunteers with the Richmond SPCA. We Are Listening began as a vague idea passed around a history classroom. A blog designed around women was a groundbreaking notion for all-boys St. Christopher’s School. Many journalism students subsequently dismissed that notion, deemed unnecessary, too difficult and too much work in addition to publishing the school magazine, The Pine Needle. Even the name We Are Listening would be condemned for weeks after replacing the original title, RVAwomen. I saw an opportunity that day, and ran with it. The blog’s construction challenged me in more ways than expected. More than just learning how to build the website, development also involved configuring its logistics, such as who would pay for what under which email, and creating and linking our YouTube channel to the blog once we decided to convey stories through video as well as writing. The results, on the other hand, were greater than I could have dreamt. When Publications Advisor Kathleen Thomas and I officially released the blog on Halloween night of 2018, I remember physically jumping for joy before hugging her. For us both, the blog was an unprecedented triumph. We Are Listening continues to collect the stories, perspectives and insights of any Richmond woman willing to share, including young adults. When these women have an audience, we empower not only ourselves, but our society.